In 2015, Anguilla's shores were graced with more beauty than previously thought imaginable. 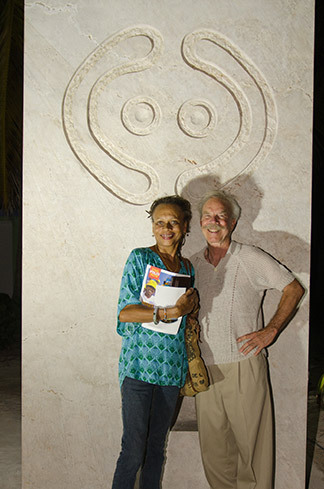 The island welcomed the first event of its kind in the region, the First Anguilla Sculpture Symposium. 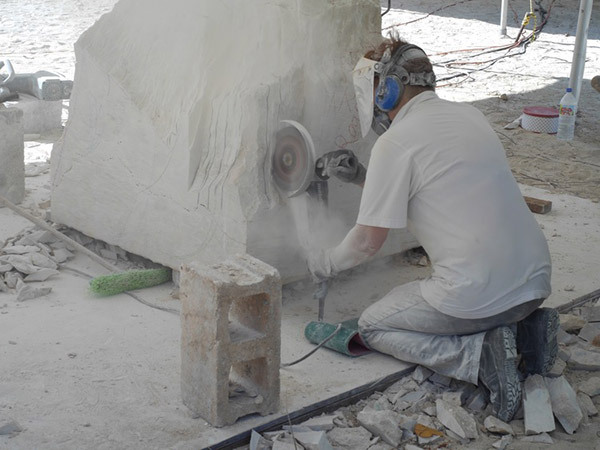 Lasting three weeks in November, three prestigious sculptors of the Royal British Society of Sculptors stepped foot on Anguilla to cast their impressions of the island in stone. The goal? 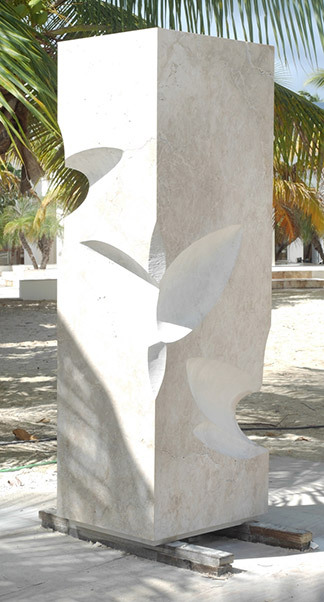 To preserve Anguilla's beauty and heritage in monumental sculptures displayed at prominent locations around the island. Limestone is one of Anguilla's most beautiful stones, with its soft, light earth tones and clean surface. This native rock was the artists' canvas. Armed with hammer drills and 9 inch nail grinders, they worked their magic. Alexandra Harley's "End Polio Now" sculpture (photo above) strikes chords with people around the world. Aimed to raise awareness about the war on polio, Alexandra's piece is an interpretation of a vaccine wiping out the polio disease. An emotionally rich piece, it is no surprise that Alexandra comes from a prestigious background, having studied at Central St. Martins and Wimbledon School of Art. 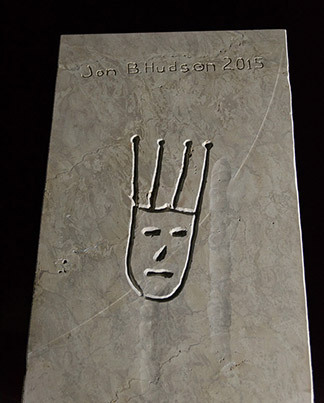 Fascinated by Anguilla's Arawak heritage, sculptor Jon Barlow Hudson's work timelessly captures the raw simplicity of the petroglyphs that were carved into Anguilla's Fountain Cavern thousands of years ago. Jon is no stranger to this world. He is deeply influenced by Zen Buddhism and received his MFA at the California Institute of the Arts. His works may be seen in over 26 countries world-wide from Japan to England. Lastly, Almuth Tebbenhoff is a woman well versed in everything from ceramics to steel. She studied the fine art at Sir John Cass School of Art. Touched by the genuine friendly nature of Anguillians, Almuth fell in love with the beautiful lips on the many smiling faces she encountered. Her piece reflects that joy, while also leaving itself open to interpretation. Some not only see smiles, but also sailboats and flower petals. A spirited event, the Symposium also served as an opportunity to watch the artists work in real time. It was a chance to observe, learn and inspire. The artists worked in Art Café where entrance to their "studio" was free and welcomed. School children visited again and again, inspired by the sculptors' craft. 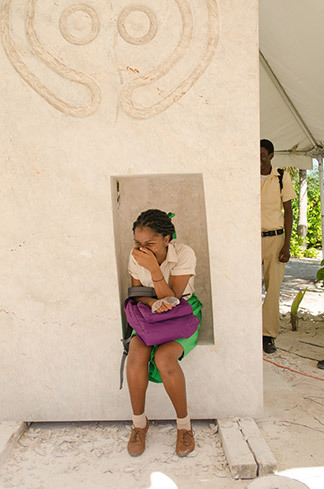 Bonds were forged and Anguilla's heritage was set in the most beautiful stone. On many fronts, it was a winning event that won't soon be forgotten. On that note, this year, 2017, celebrates Anguilla's 50th Anniversary. In celebration of such a monumental year, the Anguilla Sculpture Symposium has something extra-special in store. I will hand the floor over to Walter Bayer of the Golden Jubilee Sculpture Symposium. Born in a peaceful Revolution that rocked the Caribbean and the British Empire, … prodding the British into truly seeing that Anguilla was not just a small rock with a handful of people living on it, but a Nation! The mission of The Golden Jubilee Sculpture Symposium is to celebrate and commemorate that momentous peaceful Revolution on its 50th Anniversary by forging enduring national treasures that will be here for another 50 years and more. Sadly, many of the heroes of the Revolution, like James Ronald Webster, the Father of the Nation, did not live to see the 50th Anniversary of the Nation they forged. But with your fervent support, and with the generosity of persons everywhere who honour and respect the Anguillian Revolution and what it stands for, we can make a difference. 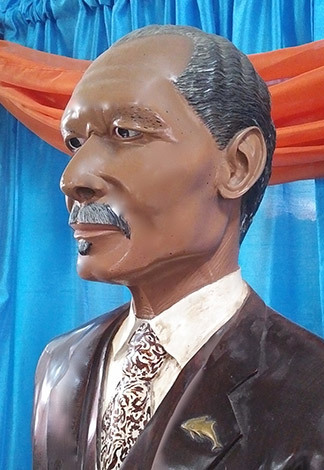 Come December, our beloved Anguillian sculptor, Cheddie, and The Golden Jubilee Sculpture Symposium want to be able to have cast and erected a life-size bronze statue of Ronald Webster, a monument that will still be standing erect in a place of honour when the 100th Anniversary of the Revolution comes around. Will you join them, help them get that job done? 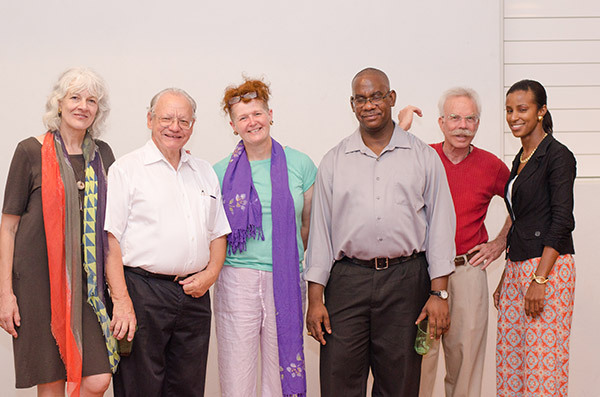 The Golden Jubilee Sculpture Symposium is proud to welcome renowned international sculptors once again to the Island. Through their hard work using everything from jack-hammers, hammer drills and 9 inch angle grinders to Dremels, and small hand tools, these artists will liberate life and beaugy from Anguilla’s resources, life and beauty to be enjoyed by present and for future generations. Let’s show them what Anguillian hospitality really is. If you want the bronze statue of Ronald Webster cast... 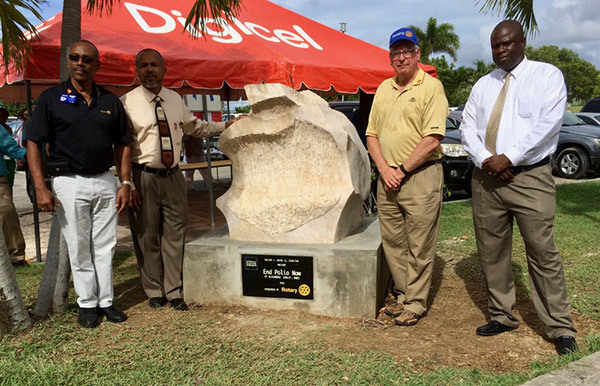 If you want spectacular monuments to the Anguilla Revolution carved, MAKE YOUR DONATION TODAY in cash or in kind*. These artists will be working for you, and, together with you, they will celebrate and honour, “Tranquility Wrapped in Blue”. *An Honour Roll of those contributing $500 or more will be maintained by the DYC.